Apparently you can’t keep a good van down…Big Mike rides again! 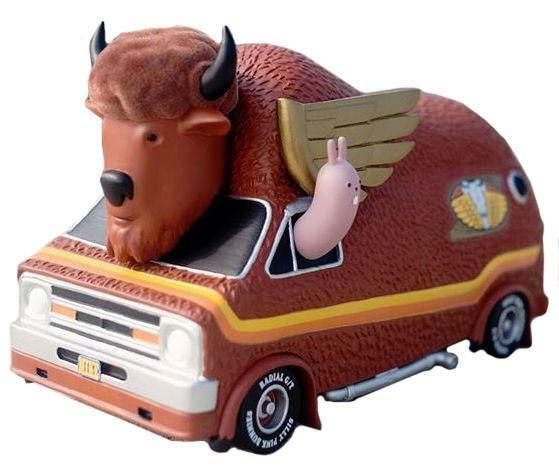 The Bison van stretches 9 inches across and features a textured body as well as a flocked head. The sides and back of the van feature artwork and designs from Jeremy and the driver's side window has his popular silly pink bunny character popping out to say hello.